Old Down Rangers is an exciting new team being developed as an integral part of Old Down – and this is the role to head it all up! We are looking for a friendly, enthusiastic and hands-on Children’s Activity Entertainer, who will plan daily sessions for our ‘Piglets’ classes, a group of children who attend 10-1pm daily. The ideal candidate will have previous experience with children – whether you have worked with them before, or have children of your own, this will suit an individual who is creative, bubbly and can think of interactive and fun sessions for the children attending. The children’s parents will always be present, so this role is less a ‘childcare’ role and more an entertainer/leader of the sessions. It is important that the individual coming in can be assertive but extremely friendly, and someone the children can learn from in a fun environment. 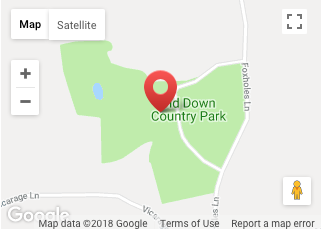 ‘Wild Wednesdays’ – getting hands-on with nature, taking the children on a nature trail around Old Down with their parents, taking them to pets corner, learning about the great outdoors etc. A hands-on individual, not afraid to get stuck in and mucky on the nature trails! Please note – the successful individual will either be DBS checked (formerly known as CRB) to be able to work with children, or will understand that a DBS check will need to be carried out for the candidate who will be hired. This really is an exciting opportunity as we are looking to add to our Old Down Rangers team with you at the helm! You will be able to give valuable input into how you see this team being developed, working with a team of people whilst the Rangers grow. Please apply to receive a phone call to find out more about the role.